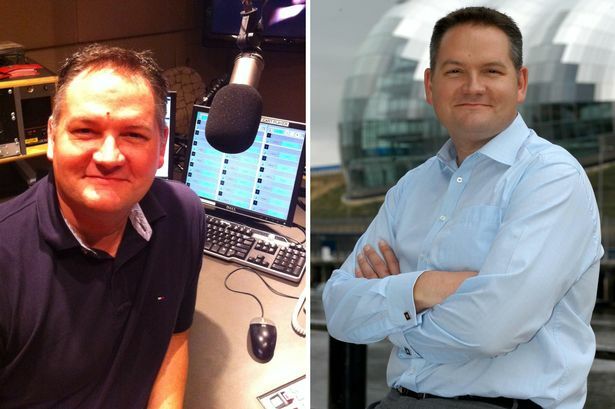 Former North radio and TV presenter Jonathan Morrell has revealed for the first time that being gay cost him jobs in the region. Speaking in support of Newcastle’s upcoming Northern Pride festival, the former Sunday Sun columnist said he was restricted in how open and honest he could be about his sexuality while working in the North East media for more than 20 years. But the 45-year-old, who emigrated to Australia four years ago with partner Andrew, has called on people of all sexual orientations, ages and backgrounds to join in the celebration later this month to ensure prejudice continues to fade away. Jonathan, who now works as a producer and reporter for Perth’s Channel 7 News channel after stints with BBC Radio Newcastle and Cleveland, ITV Tyne Tees, Sky News and Real Radio, said: “The North East is no better or worse that anywhere else. There are people who have issues with homosexuality and those without. “When you live in a democracy like the UK or Australia you are entitled to your opinion but you are not entitled to it if it is intended to make people’s lives unhappy. “In my lifetime, things have come a long way – from the age of consent being 21 and schools being banned from talking about homosexuality in the 1980s, to protection in the workplace from discrimination and equality in marriage. I never imagined that would happen.”Jonathan grew up in rural Cornwall and he found moving to the diverse city of Newcastle as a student made life easier being gay, but he soon found work tricky. He said: “I had come out when I was about 16 at college. I had a girlfriend but it didn’t work out. My friend Darren was the first openly gay person I had known and at first that scared me. With time, I told him that I might be gay. He said he wasn’t surprised and that was it. “I cannot explain how huge it is to say that to someone for the first time. You are challenging all of the assumptions about you from being a child. My friends made it clear it didn’t make a difference and I should just be myself. “There were people who didn’t speak to me again, but it was there loss and I don’t want those sorts of people in my life. “Since then I have never flaunted it, but have always been open and honest because I think, ‘why wouldn’t I be’? Prejudice is drawn out of ignorance and the more people know about minority groups like LGBT the more accepting they will be as they know people who fit into these groups and are nice people. He explained: “There have been instances of people saying unpleasant things to me. When I was at the BBC an older colleague said he knew why I was gay. When I asked how, he said I must have been abused as a child. I was gobsmacked. “Another colleague, who was Christian, gave me a book and asked me to read it. It was about a bloke who got AIDS and died. “Occasionally in pubs I hear abuse, but I don’t tend to say anything as that only sees things escalate out of control. These people tend to run out of things to say in the end. But I have also met some amazing supportive people and they fair outnumber the nasty ones. “It has cost me jobs in the past because there is still a culture, although it is against the law, in which homophobic opinions remain but have been pushed underground because it is not PC to say anymore. Jonathan and Andrew have been together for 26 years, having met at work at the BBC, and in March the civil partners got married. Jonathan was a leading figure in the creation of Pride Radio North East, which broadcasts online all year round and on FM for four weeks each, and while living in the North East was also a keen supporter of LGBT rugby club Newcastle Ravens and support service MESMAC North East. Meanwhile, the journalist has given his backing to the Northern Pride arts and entertainment festival will take place across the region from July 17 to 19, centring on the Town Moor’s weekend showpiece event. He said: “Pride has gone from being a small gathering to a great big party which attracts big artists and thousands of people. “When I was on TV I was quite careful where I went and what I did, but once that stopped I no longer felt under pressure and loved going to the Pride festival. “People ask why we need Pride. Look at Russia where homosexuals are being persecuted. You can see that very quickly things can change from a tolerant climate to open hostility. “Before 1967, tens of thousands of people in the UK were prosecuted for being gay – not long ago. People were locked up, had lobotomies and were chemically castrated. “Governments change and society changes but we cannot ever go back to those days. 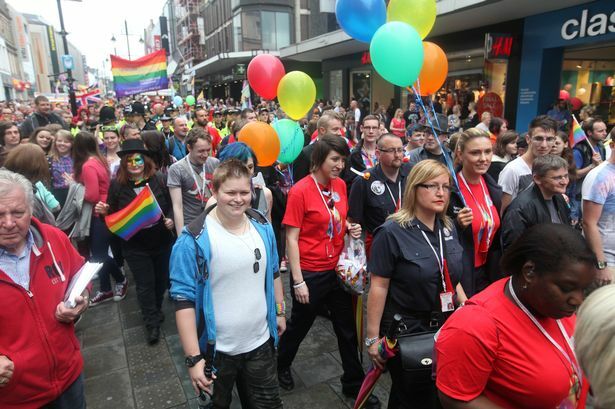 We must always be vigilant and make sure we continues to speak up and remember how far LGBT people have come and how far they still need to go.”He added: “Pride is also great fun – a day of celebration to be thankful about rights hard won by a generation who went through really tough times. And the worst thing Jonathan hears said about his sexuality? “People say it is a choice and I made it. My response is, ‘you should try walking a thousand miles in my shoes’. Coming out at work: how easy is it?